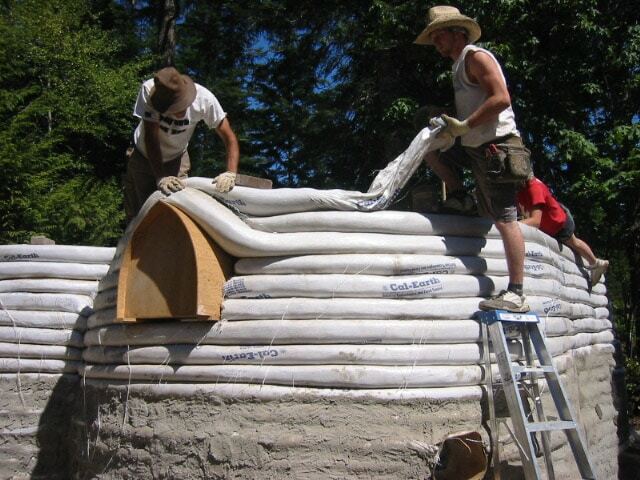 The idea that you can build a structurally strong house with nothing more complicated than a bunch of bags, earth, clay and lime, plus some basic on-farm materials and plenty of hands on deck is pretty exciting for a lot of people, including me. 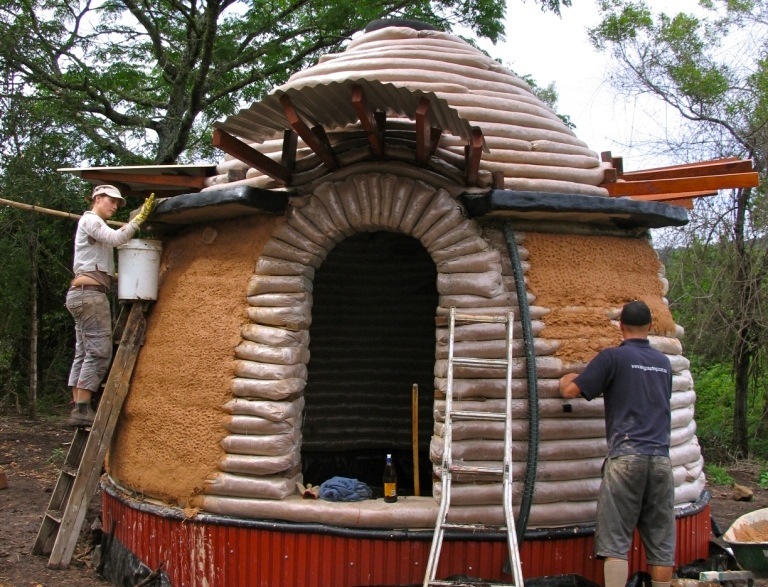 Earthbag building might just be the answer to our dreams. 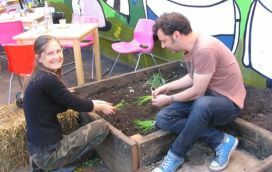 Want to join us creating our first earthbag structure at Milkwood? – The huge thermal mass of the bags creates a very stable internal temperature, which can then be controlled by high or low air vents and appropriate siting for the climate. This makes them very comfortable to inhabit, especially in places that experience large temperature fluctuations. 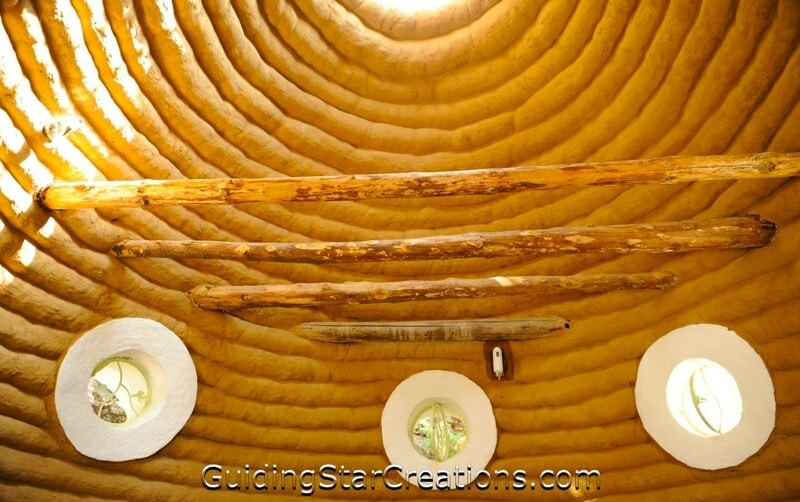 It also gives the room within a great sense of safety and solidness. – Because of the materials involved, earthbag structures can be constructed prettymuch anywhere you like, including hard to get to places, as there is no need to cart a large volume of building materials to the site – you just need the bags and some other basic bits, and you can create the structure from the surrounding earth resources you have access to once you get the the site. 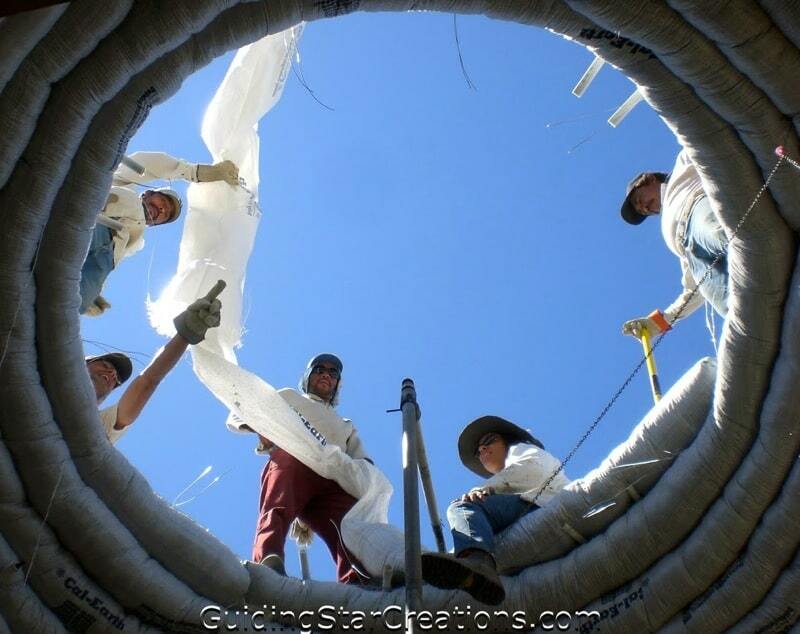 – The basics of the earthbag process is teachable (and learnable) in a very short space of time, because of the simple nature of the structures components. After 4 years and counting, any simple natural building technique i can learn from start to finish in a relatively short space of time gets the thumbs up from me! 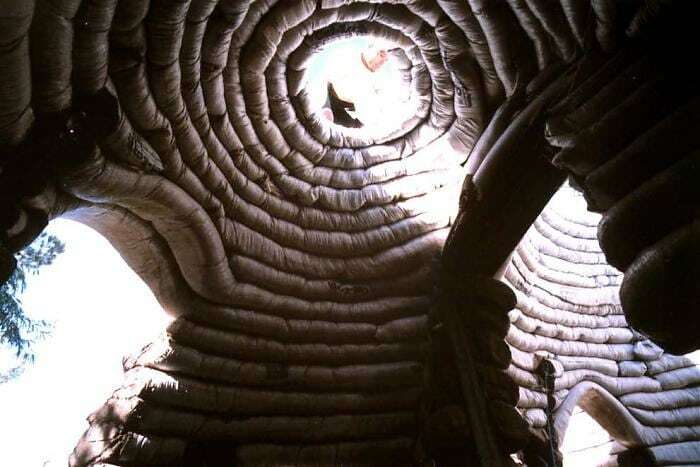 – Earthbag structures can easily be made to be load bearing. This is a big one. Just ‘throwing up’ some posts so you can build a load-bearing mezzanine safely is no small thing in post-and-beam building, i’ve learned. 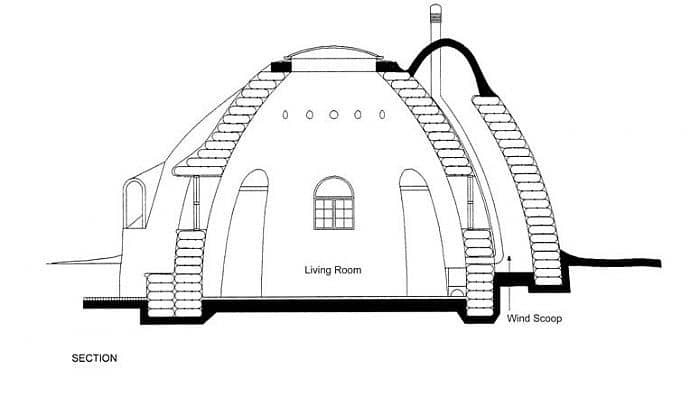 But with earthbag, particularly earthbag domes, not a problem. – Earthbag structures are achievable. This is the biggest factor, in my mind. 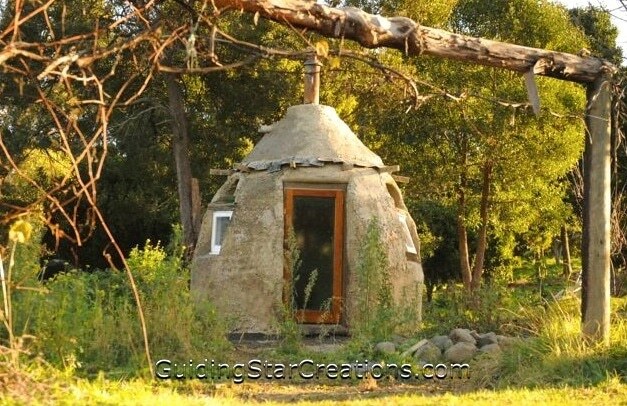 Like the permaculture principle obtain a yield, there is a huge emotional benefit in finishing a small and solid structure well, in a timely fashion. It gives you heart to make another one. It makes your family happy, and allows them to believe in your crazy non-standard building ideas. [caption id="attachment_1157" align="aligncenter" width="500"] Lo . . Recently we had the honor to steward a beautiful bunch of peopl . . There's not many 14 year olds that get their own house - much le . .
and another benefit – they look absolutely gorgeous! I’m looking forward to seeing your ‘tiny house above the dam’. hu! All those hours in a gun pit, slamming sand bags, weren’t a waste of time after all! 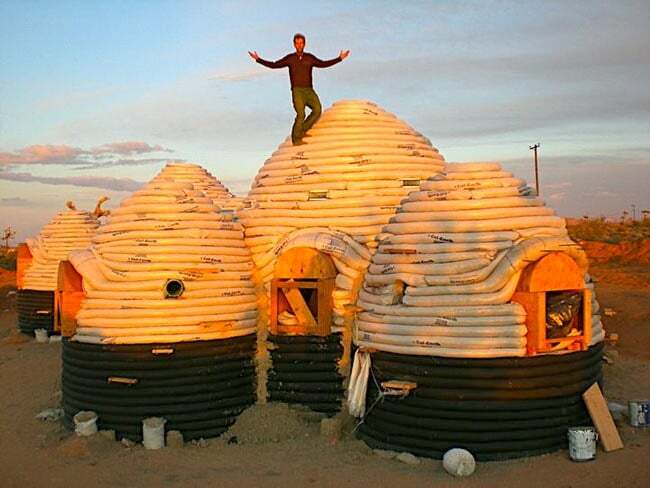 🙂 This guy used bags and cob on his desert house. great instructional! i happenned across your site this morning and was impressed with your creation immediately. i am building down in nicaragua right now. my crew and i built a massive retaining wall system into the side of a hill and are waiting for the rainy season to finish before we can commence on the house. what is the make-up of your scratch coat? below the mezanine, (i will incorporatre this idea. thanks), the windows appear to be a swivel single pain of glass. how is this acheived?